The title alone had you singing. I’ve Got… Two Tickets to Paradise. Got a surprise waiting for you. On June 6th, 2014 Rick Springfield, Eddie Money, and Little River Band will share one stage at the Mid-America Center. Sounds like a pretty fun night out, if you ask me! And what could make it even better? Getting those tickets for FREE! I have an offer code AND giveaway, so keep on reading! Tickets and information can be found through the Mid America Center by clicking here. OFFER CODE: How about $10 OFF your ticket price? Simply type in HarleyJ where it says Offer Code. HUGE thanks to the marketing folks for this special offer code. Please be sure to use it when purchasing your tickets so we can have more like it down the road! Now ~ Are you ready to try your chance at winning? One lucky Harleys and Heels reader is going to WIN TWO Tickets to Rick Springfield, Eddie Money and Little River Band! That’s right. Click on that little red button. You’ve got it! *I received tickets to the concert for me and two tickets to giveaway on behalf of Harrah’s Council Bluffs and the Mid-America Center. Thanks to Katie from Yellow Mango Life for the offer origination. All opinions are 100% my own. Calling all Omaha Metro Area Ladies! It is time for a Girls Night Out! Round up your favorite gals and join me this Wednesday for a night of martinis and fashion while we dream of summer time, tan lines and patio cocktails. See the latest fashion trends from Me & Me Boutique first hand as myself and local blogger Ashley, will be sporting a variety of outfits throughout the evening. Trends from The Ugly Sister will also be on display and modeled by Omaha Bloggers Jessica and Megan! Why: See local bloggers modeling fashions from Me & Me and The Ugly Sister, as you enjoy drink specials and a night out with the girls! Midtown Crossing is where it’s at! Mark it on your calendar! See you ladies there! 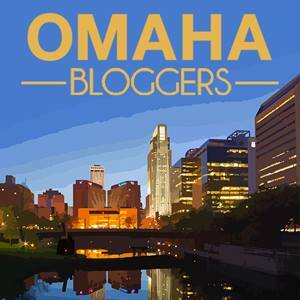 Special THANKS to Danielle of Martinis and Minivans for coordinating all the Omaha Bloggers to attend these awesome Ladies Nights! Disclosure: I am receiving a gift card in exchange for this post and attendance at the event.